North of Sala Comacina the Strada Regina reaches Ossuccio, with the noteworthy churches of San Giacomo and Santa Maria Maddalena. 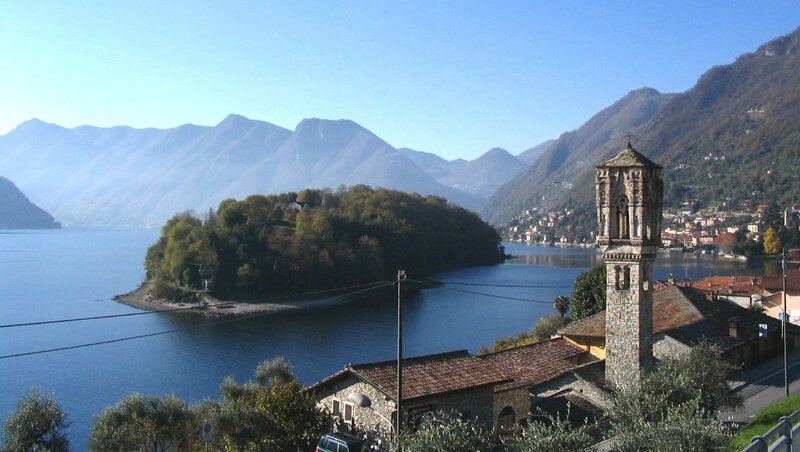 Ossuccio is made up of two villages, Spurano and Ospedaletto, both along the lake. The 11th-century church of San Giacomo features a characteristic bell gable. The tiny church is tucked into the fabric of an exquisite hamlet - called Spurano - that has existed for almost a thousand years. Its interior has numerous fragments of frescos which must originally have completely covered the walls and apse. There is a recently restored Saint Christopher on the right-hand wall. The church's foundations rest entirely on the bed of the lake. In Ospedaletto, right opposite the Isola Comacina, the slender Romanesque campanile embellished by a Gothic belfry has made the church of Santa Maria Maddalena one of the most photographed sites on Lake Como. The nave is decorated with frescos, in a very poor condition, of the 17th-century Lombard school. Also well worth noting is the oratory adjoining the church, used in medieval times as a hospice for pilgrims.